The first part of the claim implies that there are fundamental differences in physiology between animals and humans. Is that true? Quite the opposite: the great many discoveries made in biochemistry and molecular biology show that all the basic mechanisms of life are common to all living beings. Perhaps one day we will discover extraterrestrial life that is radically different for ours, but all living beings on Earth work pretty much the same way. All use DNA to store genetic information and RNA and ribosomes to translate that information to proteins. That translation is based on the genetic code, which is common to all living beings. All living beings have proteins made with the same 20 amino acids, and only with the L stereoisomers of these amino acids. All living beings use glycolysis, the Krebs’s cycle and the respiratory chain to generate ATP for energy. All living beings have a double-layer of lipids as a cell membrane. And these are just a few examples. It seems that the basic functioning of cells was set by chemical evolution billions of years ago, even before multicellular systems started to evolve, and has not changed ever since. There are more similarities than differences even between the mayor kingdoms of bacteria, fungi, plants and animals. If we focus just on animals, we find that their nervous systems are formed by neurons of similar characteristics, with similar neurotransmitters and receptors. Mammals have a majority of genes in common and their organs are very similar. Moving on to the second part of the claim, is it true that some drugs work on animals but not on humans, and vice versa? Yes, this is true for a few drugs. For example, take catnip: cats can get high on catnip but this doesn’t happen to humans or to most other mammals. Nevertheless, many other psychoactive drugs, like morphine and barbiturates, have similar effects in all mammals. The important thing, however, is that even if some drugs do not have the same effect in animals and humans, this does not represent a major problem for animal research. To understand why, we need to go into the details of why there are differences in the action of drugs between species. The key lies in the structure of proteins. Proteins are like nanomachines that carry all the essential functions in life: catalyzing chemical reactions, moving chemicals in and out of the cell, processing signals inside the cell, generating action potentials in neurons, contracting muscle, copying DNA, making other proteins by translating DNA, etc. They are made of 20 amino acids linked to each other in long chains. The amino acid sequence is what determines what a protein does, just like the sequence of the 26 letters of the alphabet determines what this article says. The amino acid sequence of all the proteins in the body is encoded in the sequence of the DNA, so that each gene in the DNA is translated to a particular protein. This long string of amino acids folds itself into a blob whose shape determines what the protein does. In particular, there are nooks and crannies in these blobs where different chemicals (a neurotransmitter, a hormone, a metabolite, etc.) can attach themselves like a key to its lock, subtly changing the shape of the protein and its function. 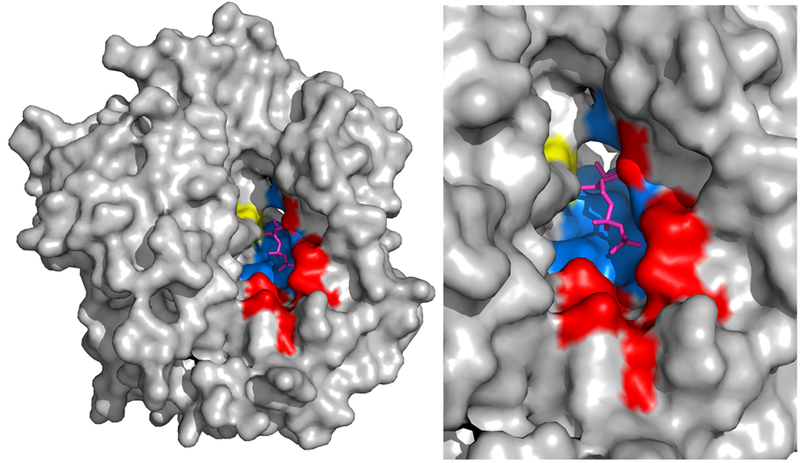 Drugs works by binding to the protein instead of its natural ligand, acting like a key to turn the protein on or off. The shape of the binding site is determined by the few amino acids that configure it, whose sequence is encoded in the DNA. Now, here is the catch: a small mutation in the DNA can change one of the amino acids that configure the binding site and this would cause a drug that before fitted into it, like a key into a lock, to not fit any more. So small changes in DNA from one species to another can cause a drug that worked in one species to not work on another species. Then, doesn’t this problem prevent us from developing drugs in animals? Not at all! There are many ways to work around this problem. First, nowadays it is very easy to sequence a protein, so that we know the amino acids that form its binding sites in every species. Then we can select a particular species whose protein has a binding site similar to a human protein. That is why we need a wide choice of animals in which to perform research, not just mice and rats. Recently, the perfect solution was found: we can take the human gene for a given protein and swap it for the original protein in a mouse, so the mouse now has a protein identical to humans. Hence, differences in protein binding sites are no longer a problem. In fact, today this represents only a minor inconvenience in animal research. We have much bigger problems to tackle. Contrary to the view presented by animal rights organizations, drug testing is just a very minor part of the animal research enterprise. We use animals in scientific research to accomplish four different goals. The human body is the most complex thing that we know. We have many different organs regulated by a multitude of signals from the endocrine, the immune and the nervous system. Each organ is formed by different types of cells that interact which each other. Inside each cell, specialized signal transduction pathways ensure that the cell perform its particular function. Before we can alter this enormously complicated system with medications, we need to know how it works. Fortunately, organs and cells work in the same ways in all mammals, so we can use a variety of mammal species to investigate these phenomena. The human brain is quite different from the rodent brain, but similar enough to the monkey brain to study some higher brain functions in it. We have at our disposal a vast collection of experimental techniques that can be used to study the organization of the body (anatomy), the functioning of every organ (physiology) and the behavior of the animal as a whole. Advanced technologies include electrophysiology (patch-clamp, multiple neurons, single nerve fiber, etc. 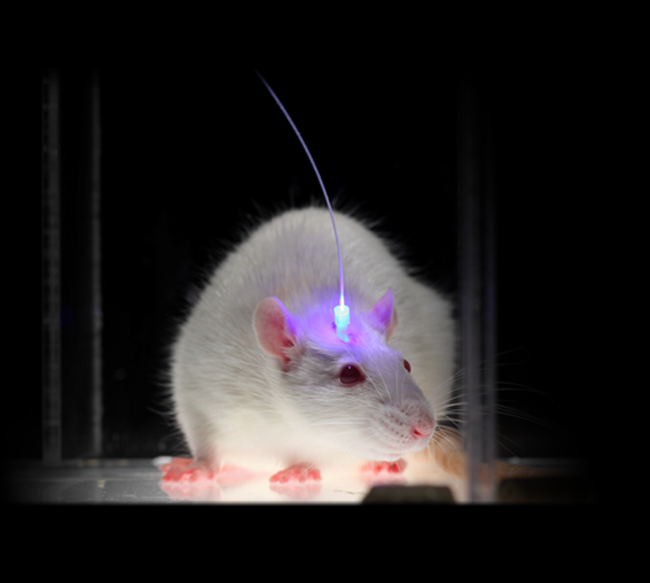 ); optogenetics to stimulate or inhibit neurons using light; DREADD to change the behavior of an specific population of cells with a harmless drug; functional imaging (PET, fMRI); immunohistochemistry; confocal microscopy; electron microscopy; behavioral tests to study pain, anxiety, drug abuse, etc. These methodologies are incredibly sophisticated and took decades to develop. Yet, they all have in common that they used animals in their development. Thanks to the application of these methodologies in experimental animals, we are discovering how the mammalian body works. However, given its enormous complexity, much work still remains to be done. Understanding physiology in the healthy condition is not enough, to cure a disease we also need to know how it is changed by the disease. In fact, many of the most challenging diseases that we face nowadays, like Alzheimer’s disease, heart disease, chronic pain and cancer, are alterations of physiological mechanisms. Since there are obvious ethical limits to do invasive procedures in human patients, we need to study diseases in animals. In the best case scenario, the disease that we are investigating also occurs in the animals, so we just need to get some animals that have it. However, there are diseases that are unique to humans, like Alzheimer’s, or that rarely occur in animals, like heart disease and some forms of chronic pain. In these cases we need to create a condition in the animal that resembles as much as possible the human disease. We call that an “animal model” of the disease. 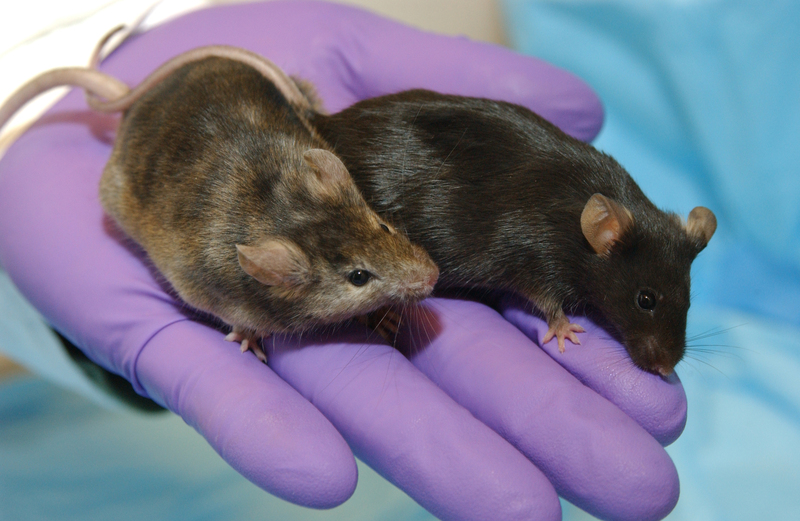 For example, mouse models of Alzheimer’s disease have been created by changing some of their genes [3, 4]. In another example, models of chronic pain can be generated by injecting chemicals in the paw of mice and rats . The problem here is that the animal model is based on a hypothesis on how the disease works; if the hypothesis is wrong, so is the animal model. Therefore, much work has to be devoted to the validation of an animal model before it can be used to study the disease. Inevitably, some animal models turn out to be invalid. Instances of this have been taken as a proof that the whole concept of animal models of disease is wrong . It is actually the opposite: the creation of the models is already an investigation of the disease. Discarding a model is progress, the same way that discarding a hypothesis is part of the scientific method. Unraveling a physiological mechanism leads to the identification of the proteins that are involved in it, working together like machines in an assembly line. This way we can find key proteins whose function we can tweak to adjust that physiological mechanism the way we want. These are what we call “target” proteins, because that is where the drugs that we want to develop will act. Once we know which ones they are, we can compare their amino acid sequence across species to identify differences from the same protein in humans. Of course, it is a bit more complicated than that, because entire signal pathways may differ between species, but once we know them in one species we can explore what these variations are. Again, this is why we need to use species other than rodents for biomedical research to be successful. This is, indeed, the “animal testing” that is often presented as the sole endeavor of animal research. In fact, a lot of drug screening is not done in animals at all! 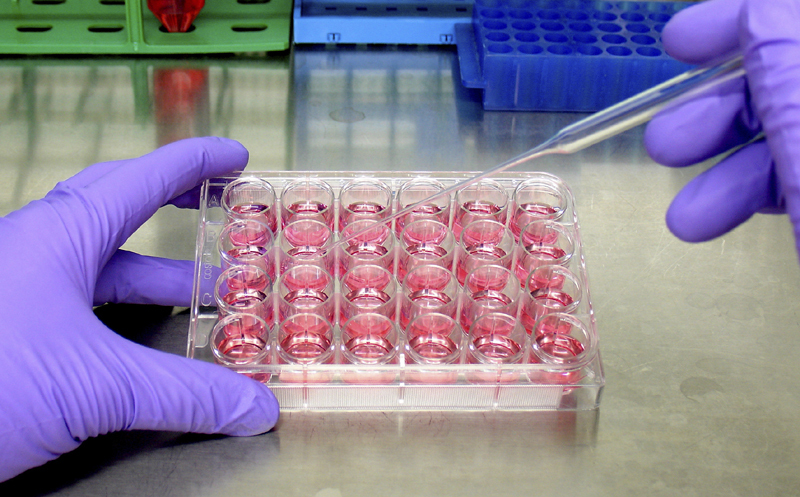 If we have found the physiological mechanism (goal 1) involved in a particular disease (goal 2), and identified a target protein (goal 3), we can simply express that protein in a cell culture and use it to test thousands of drugs very quickly to find the ones that have the best effect. The drugs that are validated this way are then tested in animals. For that we will choose an species in which the protein is similar to its human version. Most likely, a drug will be tested in several species and animal models of the disease before moving it to clinical trials in human patients. Therefore, both parts of the claim made by animal rights proponents are false. Physiology is similar enough between humans and the rest of mammals to make it possible to translate discoveries from animals to humans. Furthermore, science has developed the right strategies to investigate human diseases in animals and use the findings to develop medications that work in humans (and in animals as well, in the case of veterinary medicine). Of course, I can only provide here a very general overview of tremendously difficult problems that are trying to be solved by some of the best minds in the world. Not everything is smooth sailing, there are some big obstacles in translating discoveries made in animals to humans. Nobody said that science was easy. However, giving up animal research following the advice of animal rights ideologues would the most foolhardy thing to do. The ultimate proof that animal research is able to produce cures for human diseases is that it has done so on countless occasions in the past. Morrison, A.R., Perverting medical history in the service of “animal rights”. Perspect Biol Med, 2002. 45(4): p. 606-19. Ringach, D.L., The Use of Nonhuman Animals in Biomedical Research. American Journal of Medical Sciences, 2011. 342(4): p. 305-313. Van Dam, D. and P.P. De Deyn, Animal models in the drug discovery pipeline for Alzheimer’s disease. British Journal of Pharmacology, 2011. 164(4): p. 1285-1300. Sturchler-Pierrat, C., et al., Two amyloid precursor protein transgenic mouse models with Alzheimer disease-like pathology. Proceedings of the National Academy of Sciences, 1997. 94(24): p. 13287-13292. Marvizon, J.C., et al., Latent sensitization: a model for stress-sensitive chronic pain. Curr Protoc Neurosci, 2015. 71: p. 9 50 1-9 50 14. Shanks, N., R. Greek, and J. Greek, Are animal models predictive for humans? Philos Ethics Humanit Med, 2009. 4: p. 2. I can only hope that one day the world will look back on posts like this and detail them in history books- along with all of the other nonconsensual and abusive research forced on humans and other animals- and say, “How could they not only do that to animals, but create an entire site to defend it?” I honestly don’t understand how you all sleep at night. The ends of unethical nonconsensual research have never justified the means and they never will. Nicholas, you seem to contradict yourself here. On the one hand, you say that animal research is not a major target of AR activists. On the other hand, you yourself say that “vivisection is beyond the pale compared to commercial farming in terms of our abuse of animals”. So it seems that you are one example of AR activist who unfairly targets animal research. And you are wrong in that statement. In terms of number of animals, for every animal used in research thousands are used for food. In terms of treatment, regulations for using animals in research are far more stringent than those for farm animals. I agree with you in that animal research is an easy target – it’s far easier to see the animal behind the steak than the animal behind the pill that heals you. Ok, longer list. However, rest assured, were you to pay serious attention to much of the conversation of AR stategists around the world have, your line of work is not their major preoccupation in changing hearts and minds. Naturally, you may feel disproportionately targeted, and there does seem to be a growing sense of agreement amongst some public that vivisection is beyond the pale compared to commercial farming in terms of our abuse of animals. Personally I wish it was spoken about more. If anti ‘testing’ is getting some traction though, it may be because it is an easy target, perhaps due to most of us being seemingly less directly culpable on a daily basis for the scourge of violence that happens against the defenseless in the name progress. Please provide clear evidence of this ‘disproportionate’ targetting. I am an avid fan of animal rights, read about it every day, and rarely from the various feeds I get from activists around the world ever see much targetting of animal testing. This post seems merely to be the screech of an individual’s cognitive dissonance dressed up in clevery as they attempt to crawl out of moral quagmire. You may enjoy this in press chapter on animal models of human disease. Many of the alleged advances in medical science using animal testing were failures and ended up being harmful to humans even though they were not harmful to animals. Vioxx was tested extensively on monkeys and proven to be beneficial to monkey hearts, but this mistake will cost Merck & Co. billions to settle over 26,600 personal-injury lawsuits. Vioxx is just one example of many failures, due to human/animal differences. But let’s assume for the sake of argument that you’ve made the case, that animals and humans are similar enough to get reliable test results. The false contradiction has been made many times before. To see its flaws turn it on its head. Surely activists would say animals are too similar to test on to be moral, and too different to be scientific. The reality is that biological and moral similarity can be very different kinds. As with all drugs, ultimate approval depends on clinical trials in humans – which vioxx passed. Yet you’re not calling for an end to human trials I hope? Animal safety tests are a seatbelt, protecting human health, but when the driver still dies, you don’t remove the seatbelt for the next person.